My sweet little Niece, Allie, loves her chickens! She’s got her very own “Hen House” and flock of ladies to collect eggs from daily. We went to visit Allie and her family for my Brother and Dad’s birthday party this past weekend. 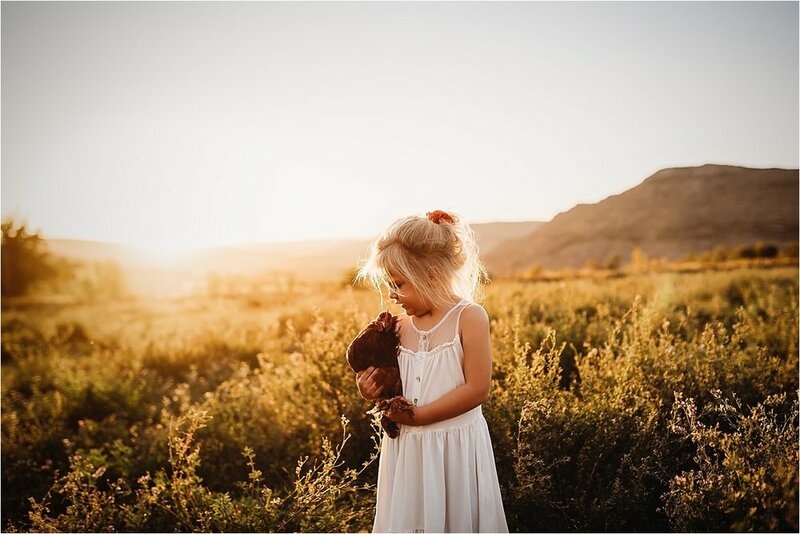 I have been wanting to photograph little Al with her chickens so I took a dress and my camera gear along. After dinner I asked Al if I could take her picture and she told me “NO” in true Allie fashion. It took little bit of convincing and bribery before she finally said yes, haha! The mini photoshoot didn’t last long but we had a lot of fun. Even more fun chasing the chicken back to the coop! Schedule your FUN family session TODAY! for your little ones, high school seniors, mommy & me, or the whole family! September 8th in Silt/Rifle, colorado! These sessions are one of a kind! Featuring "Bella" the beautiful gray mare who loves kids. We will also have a second backdrop for your portrait experience with our adorable teepee complete with vibrant floral arrangements and a guitar! Your kiddos are sure to receive a unique experience and you will gain some amazing artwork and keepsakes to adorn your walls! 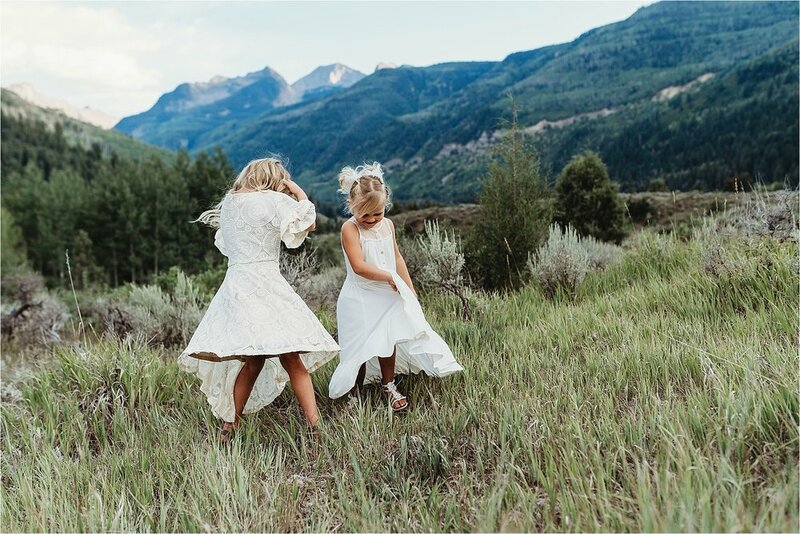 Choose from a variety of Boho style dresses in various sizes and we even have a little something for the boys if they want to partake in the fun. Or you are welcome to provide your own wardrobe! 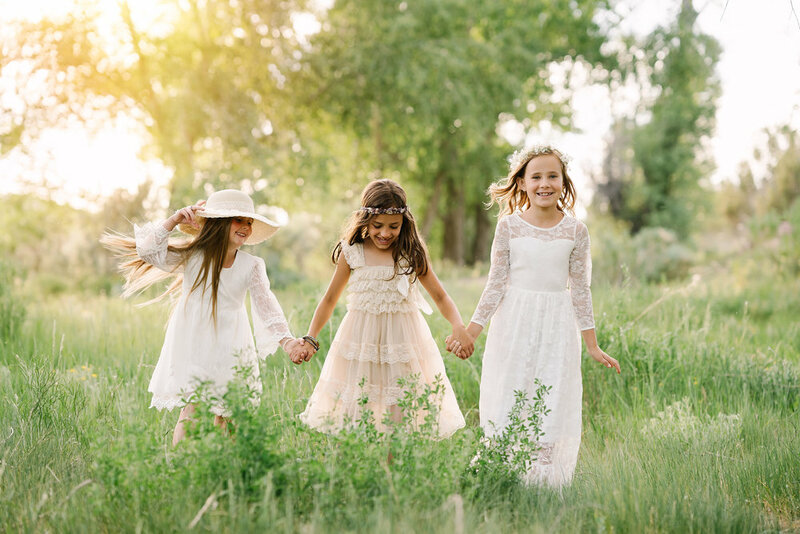 These sessions are designed to have a light, airy and ethereal look and feel so if you plan to bring your own clothing then know that whites or ivories will look the best. These are perfect for children of all ages, Mommy/Daughters, high school seniors, families and we even have a little something for the boys! 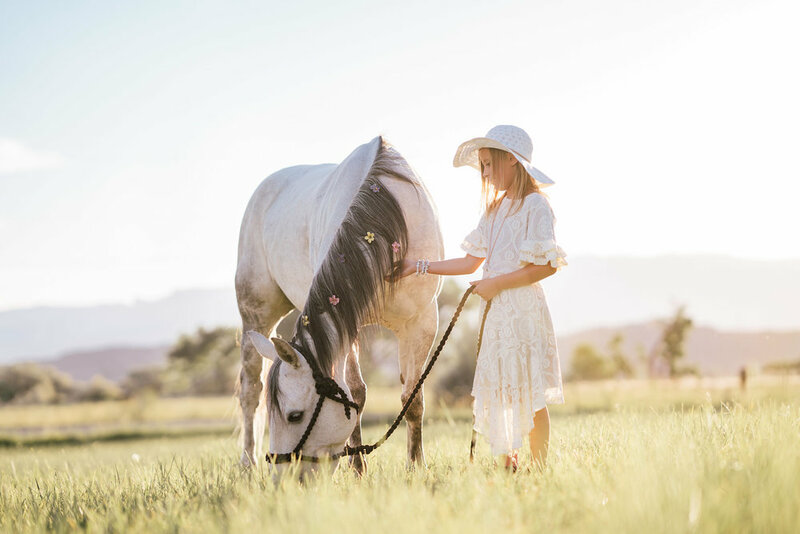 Session fee includes access to our custom wardrobes, props and Bella the beautiful and EXTREMELY gentle horse! Additional prints, products and digital images will be available to purchase once the photos have been retouched. Please contact us for a detailed price list! Tap the link below to schedule your Bohemian Summer Session!